I am going to let you in on a little secret. You can lose weight eating chocolate. It works for me and it can work for you. XO healthy chocolate is not like the traditional heated or dutched chocolate that has the waxes and filler and sugars like you find in the grocery store. 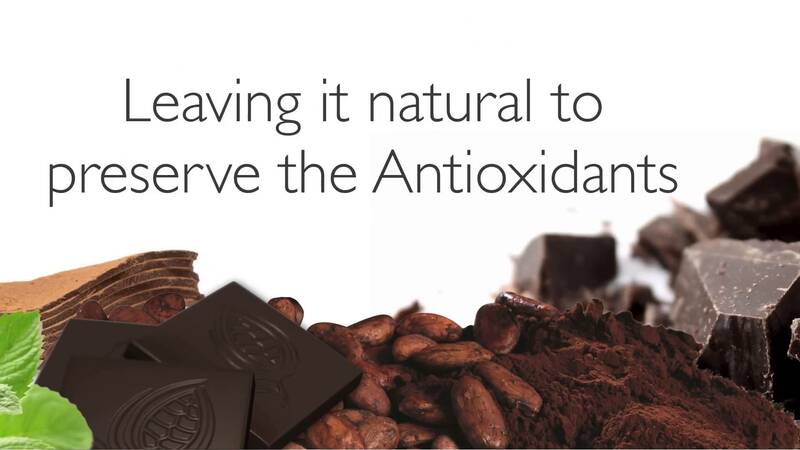 XO chocolate is different because they use a cold pressed patented process that keeps in the antioxidant and flavonoid values in the original cacao. Even better, this chocolate is sweetened with acai and blueberry. One power square is just 33 calories. You can lose weight eating XO chocolate 20-30 minutes before a meal or in combination with the XO Chocolate meal replacement diet shake. I swear by this shake and I have lost well over 50 pounds so far. My favorite chocolate diet shake drink is made with 1/2 a frozen banana, 1/2 tbsp peanut butter, 1 cup ice, q cup water and 2 level scoops of the XO meal replacement shake. Not only does it help you lose the weight, it also tastes great! of Bariatric Medicine where they discussed the average weight loss of over 40 pounds in just 3 months the healthy way. You deserve a diet that works for you and does not take over your life. Simply replace two meals a day with any XO shake you would like. Enjoy XO chocolate squares whenever you have a craving or need a snack. Then enjoy a normal and healthy dinner. Get 20 minutes of exercise a day and drink lots of water. It really is that simple. Hurry and order by 9/1 for a wholesale buy 2, get 1 free deal through 9/1. Time is running out so hurry and use coupon code 160328. Visit us at ChocolateDreamDiet.com. 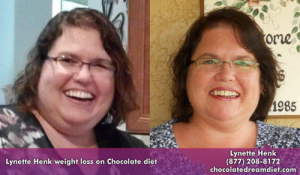 I am Lynette Henk, XO healthy chocolate promoter and chocolate dieter. I can be reached at 941-216-5727, at [email protected] or at ChocolateDreamDiet.com. NextBye Bye Osteoporosis, I Finally Get to Ride My Alice & Olivia Neiman Marcus Target Bike!